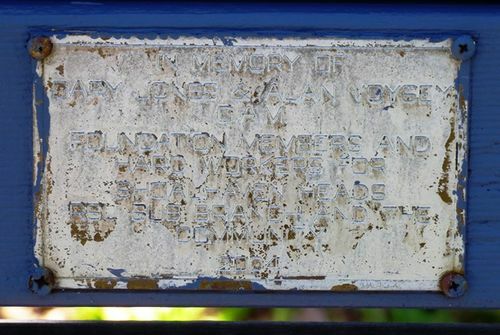 A park seat commemorates Gary Jones and Alan Voysey who were foundation members of the Shoalhaven Heads R.S.L. Club. In Memory Of Gary Jones & Alan Voysey O.A.M.